What’s the Best Menstrual Cup for Beginners? 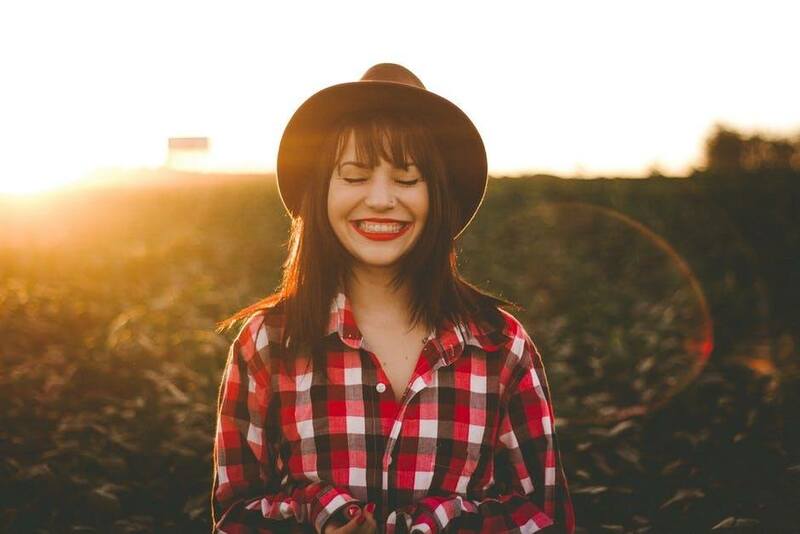 Lower risk of developing a vaginal yeast infection or bacterial vaginosis. Tampons can cause micro-injuries to your vaginal walls when you insert and remove them, creating favorable conditions for bacteria and yeast to thrive. So how to Choose a Menstrual Cup for Beginner? Menstrual cups are generally very easy to use, so whichever menstrual cup you choose, you’ll learn to use it in no time. In this review, I’ll recommend 3 top menstrual cups with the best ratings and user reviews. It’s by far the most popular menstrual cup on the market. Made entirely from BPA-free silicone, it comes in two sizes: size 1 for women before the age of 30 who have never given birth vaginally or cesarean section and size 2 for women over 30 or those who’ve given birth either vaginally or by cesarean section. It’s important to choose the right size of Diva Cup to prevent leakage and make sure it fits perfectly. It comes with a drawstring bag for convenient storage. 85% of 4 and 5-star Reviews on Amazon, it means thousands of happy customers! It’s very easy to remove. Even when you think it got stuck, you’ll always a way find a way to remove it on your own. For some women inserting Diva Cup may take some getting used to, after all, it’s a completely new way of handling your periods. However, after a few uses, inserting and removing your Diva Cup becomes your second nature. Some women complain that whichever size you choose, it’s too big and too rigid. Lena is made of 100% USA medical-grade BPA-free silicone and dyes. It also comes in two sizes, but they are based on your flow: size 1 for light to medium flow (41mm in diameter) and size 2 for medium to heavy flow (45mm in diameter). For beginners, the manufacturer recommends using size 2. 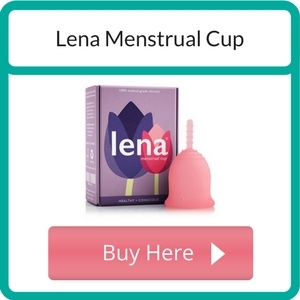 Lena menstrual cup is sold with a storage bag. Made from FDA approved BPA-free medical grade silicone Blossom menstrual cup comes in two sizes: small and large. According to the manufacturer, it lasts for up to 15 years of regular use, pretty impressive! It comes with a handy storage pouch. Based on all the often contradicting reviews I read, I assume that it’s best to try one of the above cups and see how it works for you. Each of us has a different vaginal canal and a menstrual cup that fits one woman perfectly may be extremely uncomfortable to another one. Also, as the percentages of positive reviews show, you’re more likely to love your menstrual cup than throw it in the bin! Choose a comfortable position to insert the cup: you may squat or lay down with your legs spread and knees up, or any other position that allows you to insert the cup with ease. Hold the folded cup with the stem facing downwards with one hand. Use your other hand to spread your vaginal opening. Insert the cup pointing at 45 degrees towards your pubic bone. Once it pops open you should keep pushing it until you feel comfortable. You can use it for up to 12 hours, but if you have a heavy flow you may want to remove it sooner. It’s best to use a pantyliner when you first start to use it to see how the cup handles your flow and to gain confidence in it. Before removing the cup, wash your hands with soap. Use your pelvic muscles to lower the cup so you can rich the stem with your fingers. Now you can safely remove the cup when removing it try to maintain it in an upright position to avoid spillage. Dump the blood from the cup into a sink or toilet and rinse it thoroughly. Now you can reinsert it again. 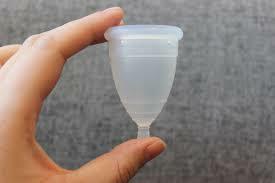 Once your period is over, clean your cup with a menstrual cup wash and store it in its storage pouch. Read More: What Are The Best Reusable Menstrual Pads? While finding a menstrual cup that suits your needs may not be easy, it’s really worth trying. First of all, it’s much more hygienic than tampons and it’s less of a health risk. Tampons are a breeding ground for bacteria and yeast making you more prone to vaginal infections. While tampons are also one of the leading causes of toxic shock syndrome, a potentially deadly condition, there’s only been one reported case of a menstrual cup causing TSS. By using menstrual cups you’re also more environmentally friendly by creating less waste and it helps you save a lot of money. Think about it, a menstrual cup that costs $30-$40 will last you for years, how much do you spend on tampons every month? At the end of the day, if you find that menstrual cups are definitely not for you, some sellers offer a 60-day full refund, so you can get your money back. I’d love to hear about your experiences with menstrual cups. Have you already used any? What’s your favorite brand? Please share your comments and questions in the comments section below. « Where to buy Probiotic Supplements? Hi, I had a terrible experience with Diva cup. There was no way to insert it without it causing discomfort. I thought I would never use a menstrual cup because they’re so uncomfortable. 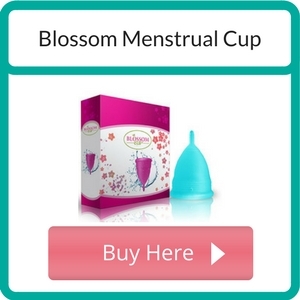 But I think I’ll give Blossom a try, it seems softer than other cups. I’ll let you know if it worked for me! Hi Karine, Blossom cups do seem softer than other popular cups, according to reviews. Please keep us updated and let us know if Blossom cup has met your expectations. Good luck!